Es en 2007 cuando se lanzan a la realización de un disco 100% instrumental. Donde profundizan en todo lo que le ha ocurrido a este estilo desde su nacimiento en el Caribe a principios de los años 50, Ska-Swing, Ska-2Tone, Ska-Jazz, Rocksteady, Dub,… Son las piezas que conforman los 12 temas que podemos disfrutar en este trabajo donde encontramos reminiscencias de artistas como the Skatalites, Rico Rodríguez, Don Drummond, Augustus Pablo, NewYork Ska-Jazz Enssemble,… Para la grabación de este disco han contado con colaboraciones de lujo, Txoni (trompeta) y Miquel (trombón) de “Skaparapid”, Rober (saxo) de la “Benifajazz Big Band”, o Toni Belenguer, trombonista valenciano bien conocido en el circuito de Jazz. Todos ellos han aportado un poco de su arte para hacer de este disco algo muy especial. Este CD es su particular visión de lo ocurrido al Ska desde que surgió, hasta convertirse en lo que es hoy en día, un ritmo y manera de entender la música que se practica en todo el mundo. Producido por J.L.Shipley (excepto los temas mas Reggae-Dub que están co-producidos por Dr. Jau). Música para pensar con los pies y bailar con la cabeza. The band from Valencia KI-SAP has been regularly on the stages of Spain, Germany, France, Holland and Portugal for almost 15 years. Five albums released (4 recorded in the studio and one on stage). 16.000 copies sold, a real record if we consider the present times and bear in mind that are self-published discs and managed alternatively by non-commercial distributors and social squat centres. 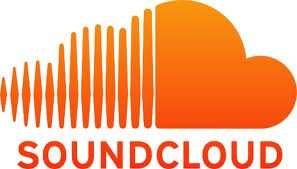 Around 100,000 free downloads from the band’s web site. Through this period their musical evolution has covered the path that goes from Ska-Punk to the Reggae-Roots/Ska-Rocksteady, their present approach. On stage or at the studio the band’s mode has always been intensified by themes of instrumental ska in the classic fashion. An this is what produced the birth of a parallel project, THE SHAKE IT UP’S that enables them to penetrate in that “vintage” side. 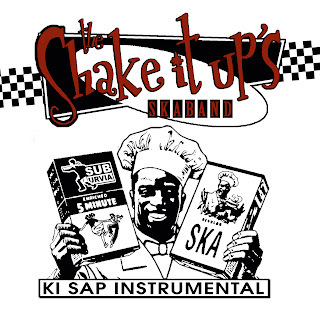 In 2007 they decided to deliver a 100% instrumental album in which they go more deeply into what has happened to the style since its birth in the Caribbean at the beginning of the decade of the 50’s: Ska-Swing, Ska-2Tone, Ska-Jazz, Rocksteady, Dub… These are the elements that shape the 12 cuts included in this work where influences of the likes of the Skatalites, Rico Rodriguez, Don Drummond, Augustus Pablo, New York Ska-Jazz Ensemble, can be found. Also counting with guest collaborations from “Skaparapid”,“Benifajazz Big Band” or jazz trombonist Toni Belenguer. As said, this CD is their personal view of what has happened to Ska since its birth until the present moment when Ska is a beat but also a way of understanding music that is practiced all around the world. Produced by J.L.Shipley (except Reggae-Dub cuts which are also co-produced by Dr. Jau). Music to think with the feet and dance with the head.